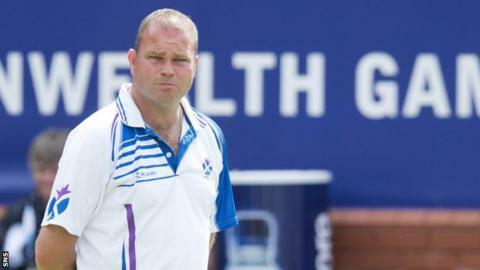 World number one Paul Foster took Scotland's representation in the second round of the World Indoor Bowls to five with a win over Marke Dawes. Foster, the four-time champion, defeated the Englishman, who is ranked 25 in the world, 9-7 12-3 in Norfolk. Former world champion David Gourlay, presently ranked five, earlier defeated Welshman Robert Weale (17) 4-5 7-6 2-0. Gourlay's fellow Scot, Jonathan Ross (13), defeated former champion Billy Jackson (23) 8-5 11-5 at Potters. Already through were two other former champions from Scotland - Alex Marshall (4) and Stewart Anderson (8). Scots-born Andy Thomson, who represents England, is also through to the second round. Foster and Marshall have already reached Monday's pairs final.